Portugal. The Man Interview - Writing "Feel It Still"
Portugal. The Man has been a steady, hard-working rock/pop band for over a decade. Starting with their first album in 2006, they have released eight albums, with the last three albums released on Atlantic Records. 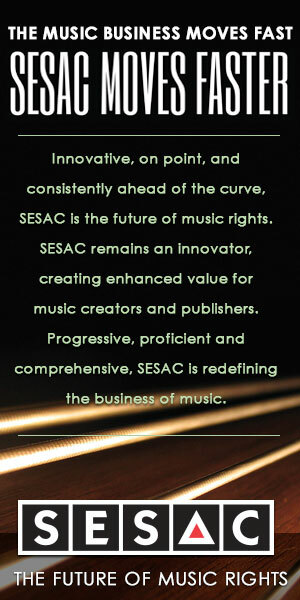 With each album, the band has shifted from being an indie alt./rock band, to developing a fresh rock/pop/soul sound that has focused more on songwriting and creating unique productions. Now in 2017, the group has reached a new level of success and popularity, with the release of their latest album Woodstock, and their breakthrough hit single, “Feel It Still.” This single has gradually risen up the charts in the U.S., reaching #4 this week on the Billboard Hot 100 chart. In addition, “Feel It Still” has become a major hit in many other countries, including Canada, Australia, France, Germany, Russia, Switzerland and Mexico. The success and impact of “Feel It Still” has been wide-ranging and impressive. In addition to its chart run, the single has gained exposure in different ways. Interestingly, many dance organizations have created unique, well-choreographed videos of “Feel It Still” that have attracted millions of views on YouTube. Also, the single has been licensed for many films, TV shows and commercials. On top of this, the band has a follow-up single waiting in the wings, that could be another hit for the group. Their song “Live in the Moment” (also from the Woodstock album) is a very upbeat, catchy song that could emerge on the charts after “Feel It Still” has run its course. The members of Portugal. The Man are based in Portland, Oregon, and lead singer & main songwriter John Gourley is originally is from Alaska. The other members of the band are Zack Carothers (bass), Kyle O’Quin (guitar, keyboards), Eric Howk (guitar), Jason Sechrist (drums). Here’s a list of Portugal. The Man’s eight albums: Waiter: “You Vultures!” (2006); Church Mouth (2007); Censored Colors (2008); The Satanic Satanist (2009); American Ghetto (2010); In the Mountain in the Cloud (2011); Evil Friends (2013); and Woodstock (2017). 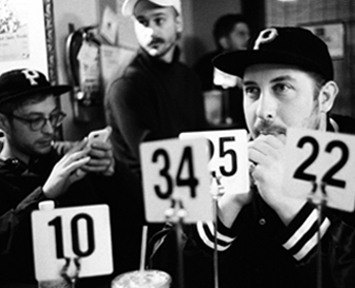 We are pleased to do this new Q&A interview with John Gourley of Portugal.The Man. He discusses the band’s songwriting and how “Keep It Still” was created. He also discusses the Portugal. The Man’s extensive history and their evolution as a band. DK: Congratulations on the success of your hit “Feel It Still.” How did you and your co-writers write this breakthrough song? John Gourley: I felt like this was a lyric idea that would connect, but I just couldn’t find the right place for it, and the right vibe. We were mixing (the song) “Live in the Moment” and I had stepped out of the session. I just kind of stepped into this side room, and Asa Taccone from the band Electric Guest was in there. And I just sat down and started playing this bass line on this ‘60s Hoffner (bass guitar). And it just felt really natural and cool. I guess it came together so quickly…we didn’t have time to think about what was happening so much. It was…you got that feeling. And everyone gets that feeling now and then in the studio. Some songs are a struggle to get through and you don’t know what you have. And others kind of come out of nowhere and just feel really natural. And this was one of those songs that when we did it, it just felt great. DK: I read in the credits of “Feel It Still,” that there’s an interpolation of the classic Motown song, “Please Mr. Postman.” Is that true? Gourley: Yes. I guess the way I was looking at it, was I’ve always loved that song. I grew up listening “Please Mr. Postman.” I came from Alaska, and my family always lived away from everything. We would take two hour trips, driving to get groceries. And we would just listen to oldies radio. [I would love listening to] these melodies by Smokey Robinson and Sam Cooke, and any Motown stuff and Beatles stuff. They had melodies that worked their way, and they gave me really specific great memories. And when I sat down (to write “Keep It Still”), I just threw out that melody. I’ve always wanted to write a song like this. And we just threw this [melody into this song] And the second I did it, we just knew that you couldn’t take it out. [Working on this song] made me look at it more from the perspective of [the great tradition of songwriting]. I guess, it all started before, with Woody Guthrie, Pete Seeger and Bob Dylan. Folk music, from my understanding, is just storytelling. You know, there was a tradition—you’d learn a local song in whatever town you’re passing through, and you take it to the next town and you write a verse along the way. And this is an idea that I’ve always really loved. Back in the day, I listened to oldies radio and hear the Marvelettes version of “Please Mr. Postman” and I’d hear the Beatles version of “Please Mr. Postman.” And I’d always loved this sharing of songwriting and these sharing of stories, and putting it into a new context. I guess that’s what excites me about music, is those experiences that I had with it. I thought about…if I have to sing this song (“Feel It Still”) every day for the rest of my life, how cool is it that it reminds me of those drives in Alaska to get groceries, and singing along with music with my family? How cool is it that we get to share it in this way. DK: I also really like your song, “Live in the Moment.” Will that be the next single? Gourley: I think it will be. To be honest, we’re still chasing “Feel It Still” right now…that song has kind of gone crazy. But “Live In The Moment” is another one of those songs that was just very natural (to write). That’s just cool. I always liked the idea… “Live in the Moment” is such a common, well-known phrase…everybody’s heard that before. I love the idea of trying to give something like that new life. It looks easy until you hear it in your context, and you see the bigger picture. So yeah, that’s another song, that came from another side session. I kind of stepped out of a session, and I wrote this lyric and melody that ultimately came together with (writer/producer) John Hill and (co-writer) Ammar Malik. DK: This has been an amazing year for your band, with the success of “Feel It Still.” What’s this year been like for you and the band? Gourley: I’ve got to be honest…it’s the same thing we’ve always done. And I think that’s the beauty of this happening right now. We’ve spent 10 years practicing and playing as much as possible. I mean, a lot of people don’t really understand everything that went into the band up to this point. For the first five records (before signing with Atlantic Records), you could go back and look at what type of songwriting I was trying to learn. The first record was really just learning production, learning software, learning recording techniques, and learning songwriting as well. From there, we went out and toured non-stop. At the end of that year, we made our Church Mouth album—we wanted to make a rock record, something that felt heavier live. We did that, and then the next year we did the same thing. We toured the entire year and then we made (the album) Censored Colors. Censored Colors was all about learning chords, and getting a little bit closer to the songwriting part of being in a band. And then I think (the album) The Satanic Satanist is kind of the reason that we ended up signing to Atlantic. That was me stepping out and saying ‘You know what, I wonder if we could write a 3-minute song—I want to write an album of straight pop songs and call it The Satanic Satanist. I wanted to have that contrast and I wanted to learn the Motown approach. How do you write a song that’s 3 minutes? Just really traditional songwriting. And that’s pretty much taken us to this point—it was a lot of practice and a lot of attempts at songwriting, and just learning different pieces of it. We knew how to write heavier stuff, we know how to play prog, we know how to play metal…we’ve had a lot of practice at doing all of that. DK: Your album is called Woodstock, and on your song “Number One” you feature Richie Havens (who performed at Woodstock). What inspired you to call your album Woodstock? Gourley: The whole thing came about, when I went back home to Alaska and visited my dad. We were just hanging out, and he asked us when we were going back into the studio to record our next album. And then in the same conversation, we kind of talked about Woodstock, and the little plastic baggies that he had to hold his original tickets to Woodstock. DK: Your father was at the original Woodstock festival? in a studio in San Diego. Gourley: Yeah, my dad went to Woodstock. My parents are both from upstate New York, and my dad and his whole group of friends went to Woodstock. It’s just something that we heard about all through our childhoods. And there were bands like Nirvana…every artist that we listened to growing up was inspired by that movement. Our parents were inspired by it and we were inspired by it. Also, I remember the first time I saw the live performances on the 25th anniversary release of Woodstock. It was that first time seeing Richie Havens perform, and Joe Cocker. I had always listened to the Beatles and Motown and Elvis and all these things. But I’d never put that face of passion and heart and soul to it. You know, it was seeing Richie Havens’ performance in Woodstock, that made me want to play music. That was the first time I ever saw somebody bleed for their music. So when we were working on our Woodstock album, we decided that “Number One” (which includes a sample of Richie Havens’ song “Freedom”) would be the opening track.